I did have a chance to make cookies, and plenty of time to eat them too as I tried to digest the millions of pieces of information thrown at me at work. It also was the first no-coat week of the year. (Figures, I would spend most of it inside) Spring flavors like strawberry, lemon, and rhubarb are floating around my head. 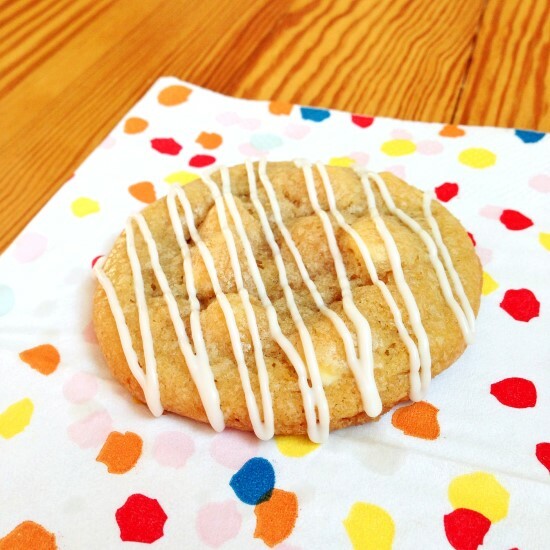 I decided to take a basic cookie recipe and switch it up with a spring twist. 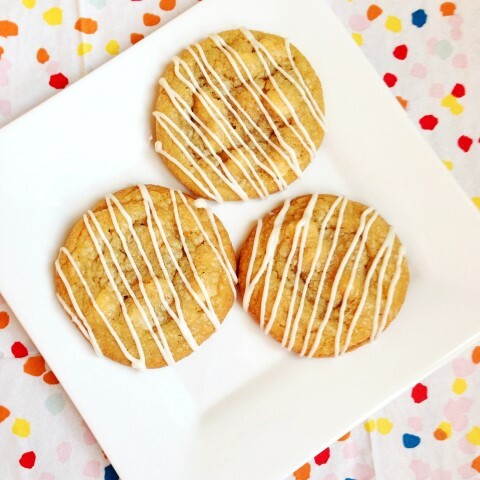 White chocolate and lemon are great friends in these cookies, with the tangy lemon taming the wild richness of the white chocolate. What spring flavors are you craving? Stir until combined and gently stir in white chocolate chips. Form into balls about an inch or slightly more in diameter. Allow to cool on the cookie sheet for 5 minutes and then cook on wire rack. I would have never considered lemon and white chocolate together! It sounds delicious! Thanks for visiting! It is delicious! These cookies look delicious! I just want to bite into them, I can only imagine how chewy they are! Awe thanks! They have become one of my new favorites! ohhh I love this page….I’m joing u! I think lemon and white chocolate are a beautiful combination. I’d love to try these. These cookies look so good! I love the idea of lemon with chocolate, such a refreshing treat for warmer weather. Pinned to my Cookie group board. Thanks, Linda. They remind me of spring so much! 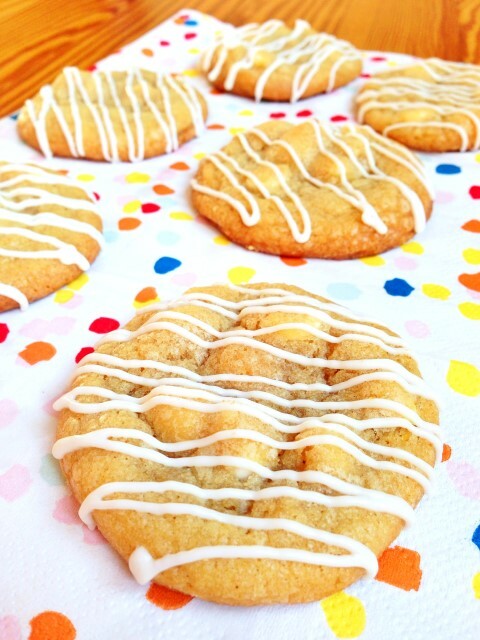 These cookies look so good and summery ! love the combination of flavors. Pinned and shared!!! Love these cookies!! Mallory, these look so good! 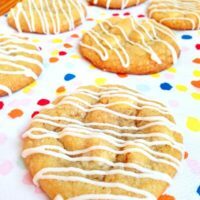 Pinned to my cookies board – can’t wait to try! 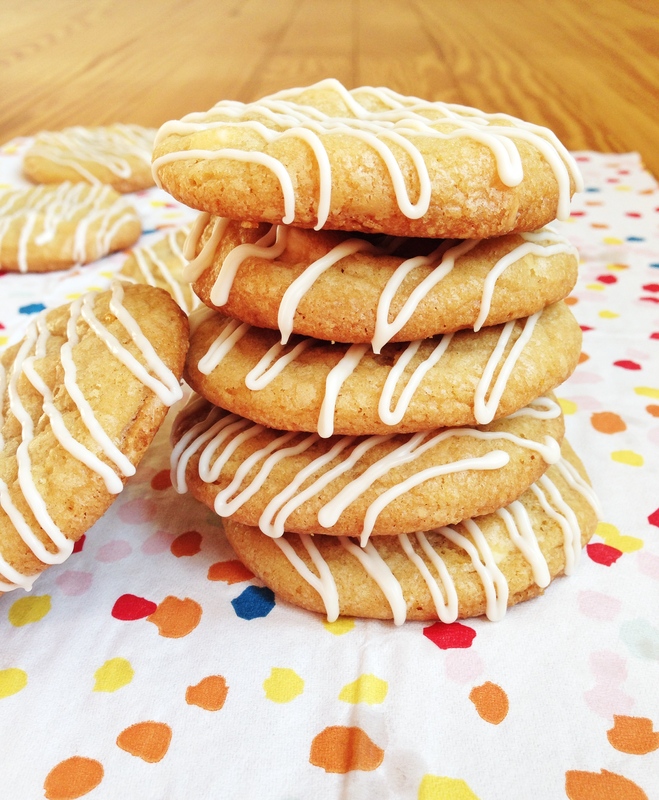 I love cookies…and these with lemon and white chocolate sound amazing! Thanks for linking them to my Creative Ways Link Party. Hope to see you again this week. I made these cookies this week for Christmas, and while they are incredibly delicious, they don’t look like the photo. They spread out, and have crispy edges. That being said, out of the five different cookies I have made thus far, these are my favourite! Thanks for the recipe.